Ala Ghasoun, a boxer from Syria, quit Saturday the world boxing championship taking place in Azerbaijan this week for refusing to compete against an Israeli rival. The bout between Ghasoun and the Israeli fighter was scheduled for the first round. Participation in the tournament was a precondition in qualifying for the upcoming 2016 Olympic games that will take place in August in Rio de Janeiro. "I quit the competition because my rival was Israeli, and I cannot shake his hand or compete against him while he represents a Zionist regime that kills the Syrian people," Ghasoun told Arab media over the weekend. "If I fight against him, it would mean that I, as a athlete, and Syria, as a state, recognize the state of Israel." "The decision to quit was not mine. It was made by the Syrian Sports Federation and by senior Syrian officials. It was a very difficult decision, because I have worked hard to participate in the championship. But I serve my homeland - my honor and my loyalty belong to Syria," Ghason said. 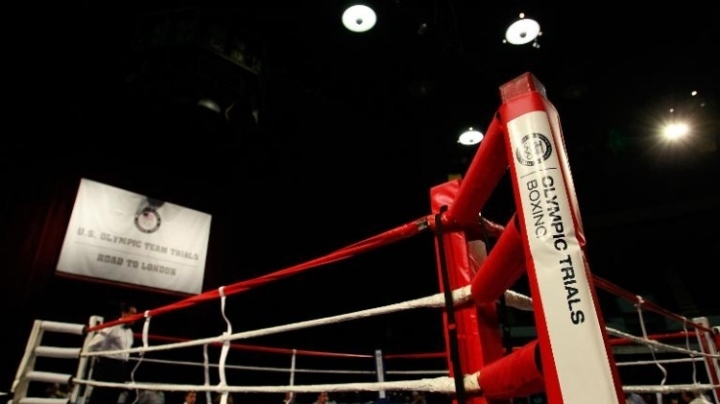 Isa Nassar, the head of the Syrian Boxing Association, said that "Ghasoun was expected to perform very well in the championship, because he is one of the best Syrian boxers. However, his love and loyalty to Syria and insistence on his principles were more important than winning the tournament."